Opened in 2002, the Havelock Tourist & Event Center is owned and operated by the City of Havelock. The ideal setting for business and social gatherings, the Center offers 10,000 square feet of flexible meeting areas, all on one level. 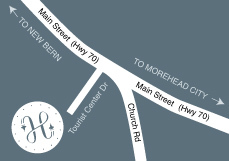 Conveniently located off Highway 70 behind the Holiday Inn Express & Suites and the Hampton Inn, the Center is the perfect location for business functions, trade shows, weddings, class reunions, and more! 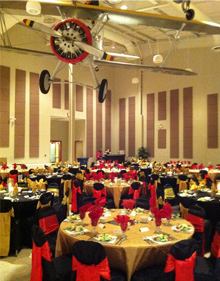 Our main hall is 7,200 square feet and can accommodate up to 700 theater seats, 500 banquet seats or 40 exhibit booths. We also offer breakout meeting rooms and 2,100 square feet of pre-function space. With its close proximity to MCAS Cherry Point, historic New Bern and the Crystal Coast, Havelock provides the best of everything for meeting planners! Our friendly and professional staff will assist in making your event one to remember! Contact us today for more information or to reserve your space!